Reserved, sensitive Willow came to Best Friends from northern Utah in 2018 after her family couldn't keep her anymore. Born in 2012, Willow has unusual grey bristles with white 'socks,' brown eyes and a precious underbite. 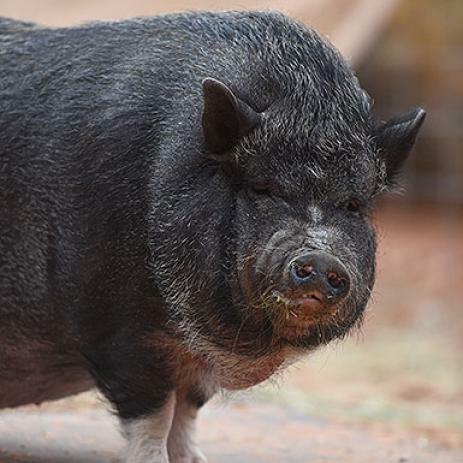 Willow enjoys the quiet life but is learning her 'Pigs ABCs,' so she needs a forever home with a steady and patient family who will cherish her soft side but will also help her learn how to be a pig.